Winter seems to know exactly what she wants from life. She loves fashion and design and has an enviable talent in making her designs translate from the page to wearable art. She has great friends and a supportive family. But at sixteen years old, she’s starting to wonder if things might be better, if even her best friends and her family might love her better, more, if she wasn’t quite so fat. It might also help in the ‘never been kissed’ department too. Scratch the surface of any ‘perfect’ life and there’s plenty of non-perfection to be found. Although it can be harder to believe, non-perfection can be more interesting. Everyone has secrets. And secret thoughts. Particularly in adolescence. It’s a time of discovery, of working out who you are, and also of looking at others around you in new ways. Hormones play their part in realigning understanding of friendships and family. ‘Pretty Girls Don’t Eat’ offers an opportunity to unstitch and refashion beliefs of self and others. There’s plenty here for discussion. How does a seemingly together teenager start believing negative self-talk? How perfect are the ‘perfect’ lives of everyone else? There are some great role models here – not perfect ones – and a hopeful future. Recommended for early- to mid-secondary readers. I wake up in the bed that isn’t really mine. What have I done to deserve being stuck in this place again? I ask myself despite the fact that I don’t believe in the concept of karma and its spiritual principles of cause and effect. Even if karma actually exist, I’m pretty sure I haven’t done anything to deserve seeing its bad side. But I once read – I don’t remember where – that everything that has happened in our lives has been preparation for moments that are yet to come. Maybe that is true. Or maybe it isn’t. Or maybe it’s just too damned philosophical for me to understand. I don’t know. I gaze out the window. From five storeys up, the view is surprisingly cheerful considering that I’m looking at the outside of a children’s hospital. Seventeen-year-old Adam is back in hospital for more surgery. Despite surgery, chemo and radiotherapy, he’s here again. Treatment for his brain tumour has meant that his schooling is interrupted and friendships are difficult to initiate and to maintain. It’s lucky then that he has two enduring friendships from his childhood and a new friend who is also a frequent hospital visitor. Adam starts writing down his story to show that he is more than the illness that is recurring. He continues it, including flashbacks, as a way of getting through long days in hospital. Friendship is important to most people, but it’s especially important to teenagers and Adam is no exception. He’s lucky enough to have a family, parents and a brother, but it is his friends who keep him going. Through them he has a link to the world beyond the hospital walls, and some semblance of normalcy. Their friendship allows him to be a teenager, who is much more than just a medical diagnosis. 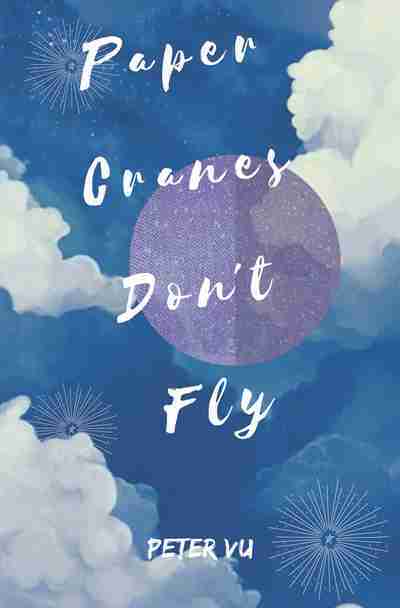 ‘Paper Planes Don’t Fly’ is a portrait of a teenager who just happens to also be sometimes unwell. Recommended for mid-secondary readers.